Hawaii, Lanai, School of Yellow Tangs (Zebrasoma flavescens) in the Hulupoe Bay Marine Preserve. Photo from National Geographic Society ID1934245. Today, June 8th, is World Oceans Day. It was established in 1992 and made official by the United Nations in 2009. 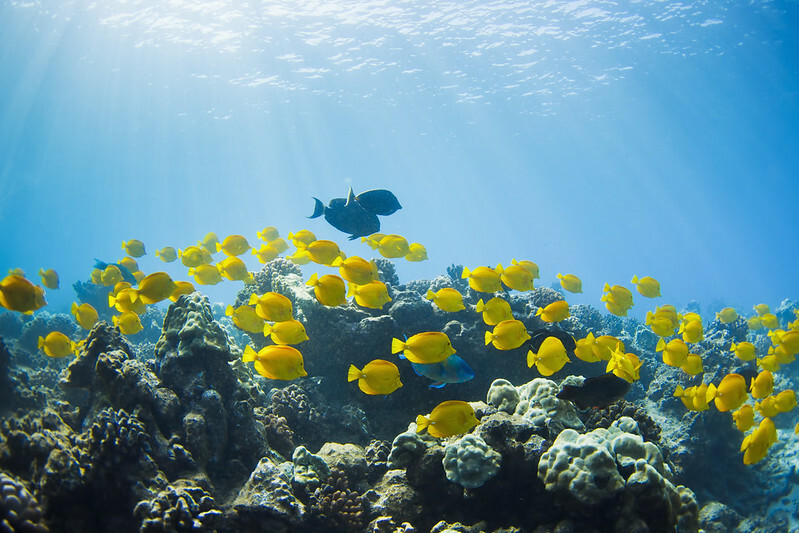 This is a time to recognize the importance of the sea as a vital ecosystem and to take action to preserve its delicate habitats and wildlife, after all 70% of the earth’s surface is covered by oceans. 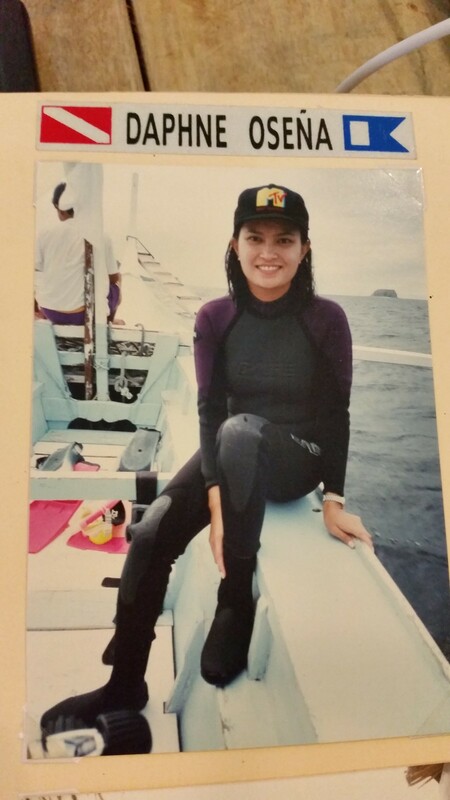 My scuba diving self in the past. When I first visited the Philippines after my parents settled us abroad, I had my first snorkelling experience in Anilao, Batangas. There, just outside my uncle’s beach house, I saw so many colourful fish and corals. I fell in love with the ocean. Soon after that, I got my open water diving license. This was during the early 90’s. When I moved here for work, I spent every weekend scuba diving. 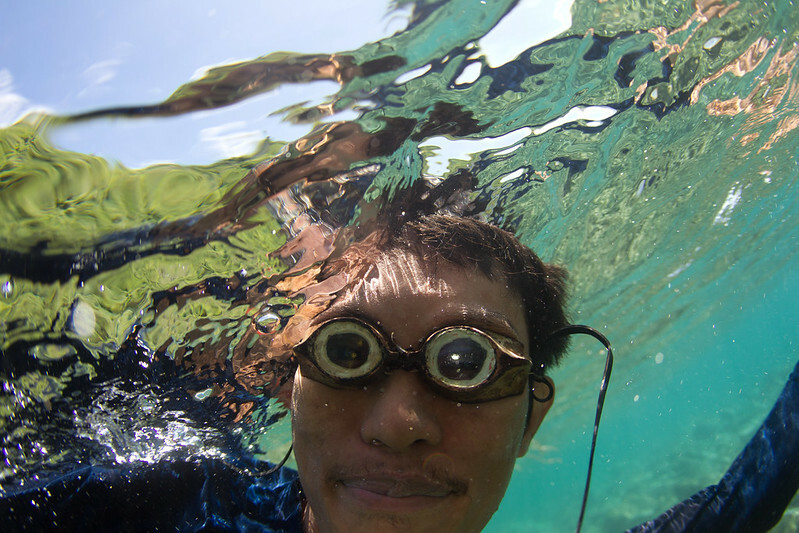 Though diving was a social “sport” – traveling to different islands with friends and cousins – it was a very solitary experience once you go down the water. It’s just you and your breathing apparatus. I remember feeling so close to God when I used to dive. It was a beautiful world down there. 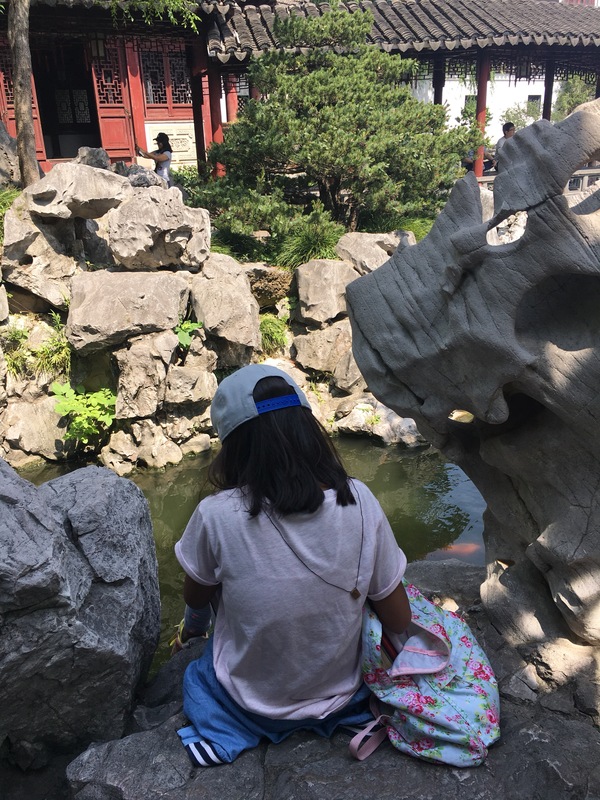 It gave me a deeper understanding of environmental issues. I have since hung up my dive gear in year 2000. Nowadays, I’m too scared of the sun (wrinkles) to spend hours in the water. Speaking of anti-aging, La Mer has always taken inspiration from the sea. La Mer’s founder, Dr. Max Huber, pioneered the use of sea kelp in the cream that renewed and restored the look of his skin. To this day, La Mer continues to help support the natural habitat of this special sea plant by only using sea kelp that has been sustainably hand harvested. Inspired by the sea, La Mer is sharing its Blue Heart through a commitment to supporting the protection of ocean habitats for generations to come. This year, after supporting ocean conservation efforts for the past decade, La Mer continues its global partnership with the National Geographic Society and its next generation of ocean explorers. In 2015, La Mer will support two new explorers: Dr. David Gruber and Shannon Switzer. Shannon Switzer is a social scientist using film and photography as a tool to help coastal and island communities to manage their own resources in a sustainable way. Shannon is working in South East Asia and Oceania. 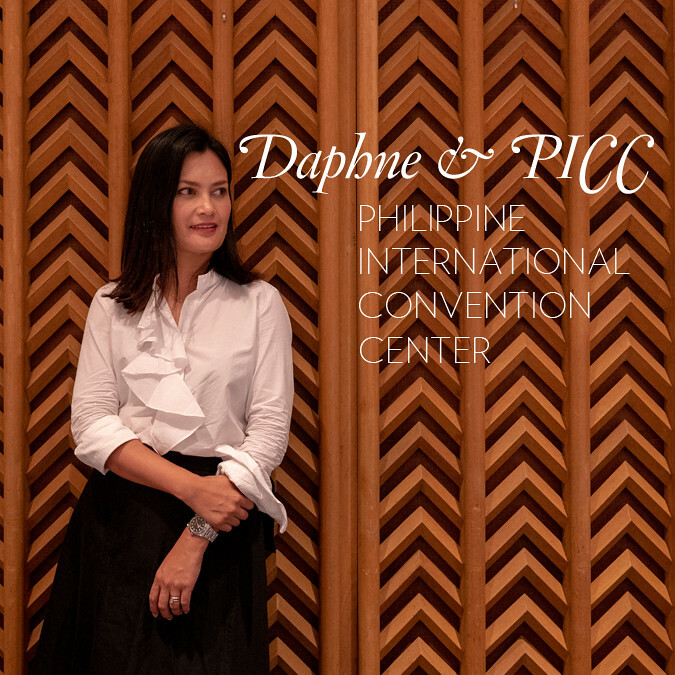 Here is Shannon’s photo diary from her work in the Philippines. All captions are by Shannon. The Philippines are in what is known as “Typhoon Alley” and are constantly hammered by strong tropical storms (sic). 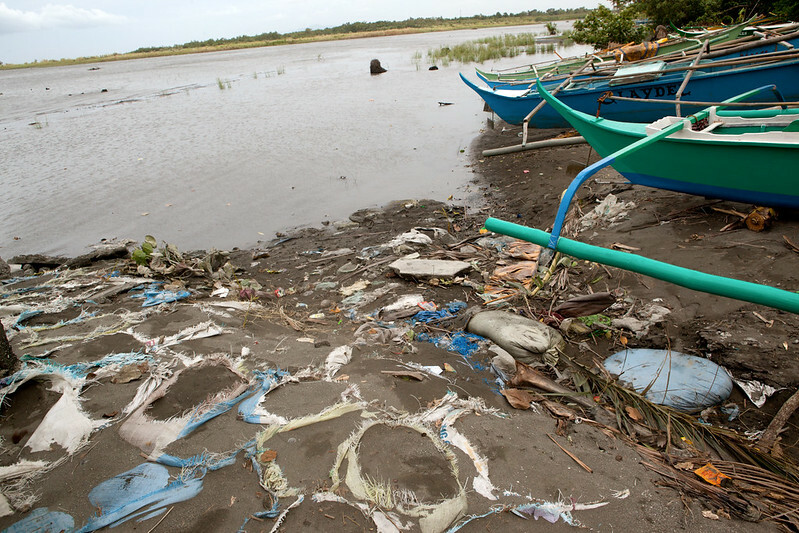 The largest and strongest ever recorded hit in November 2013, causing widespread devastation. Here in the Verde Island Passage of Oriental Mindoro, though not directly hit, they had strong winds and rain and experienced a great deal of erosion. Sandbags can only do so much. This is Clark Bautista. He was also an enormous help in connecting me with fishermen and gaining insight into the management of marine protected areas in the region at higher levels of governance as he works in the Fisheries Management Office. He also showed me some of the best places to snorkel and dive. 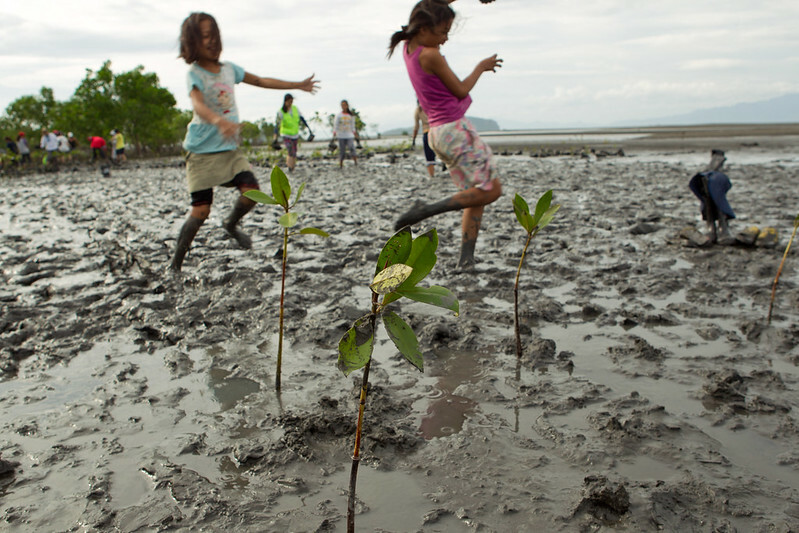 Not only do the mangroves provide protection for community members, they also act as a nursery for marine life and help sustain a healthy fishery. Men and women both fish in different ways. 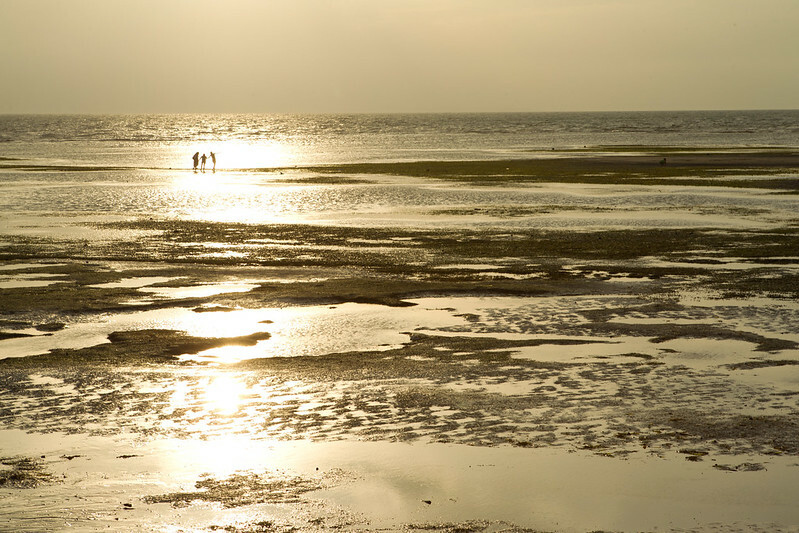 Here women and children ‘glean’ small fish, crustaceans, and mollusks from the exposed reef at low tide. The mangroves help continuously replenish these fauna. 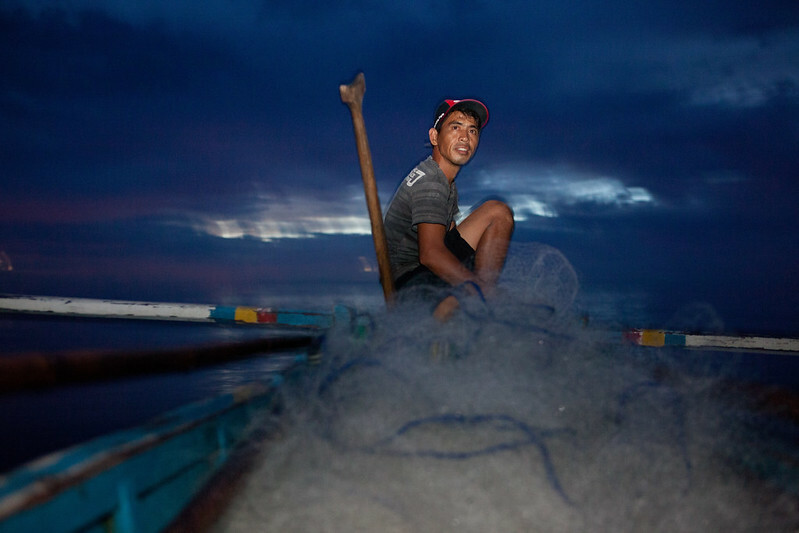 I had the opportunity to join two fishermen from Silonay on one of their forays. They leave at four in the morning to be on the water at dawn’s first light. Fish are one of the only reliable sources of protein for residents, and over the last few decades their numbers have been declining. 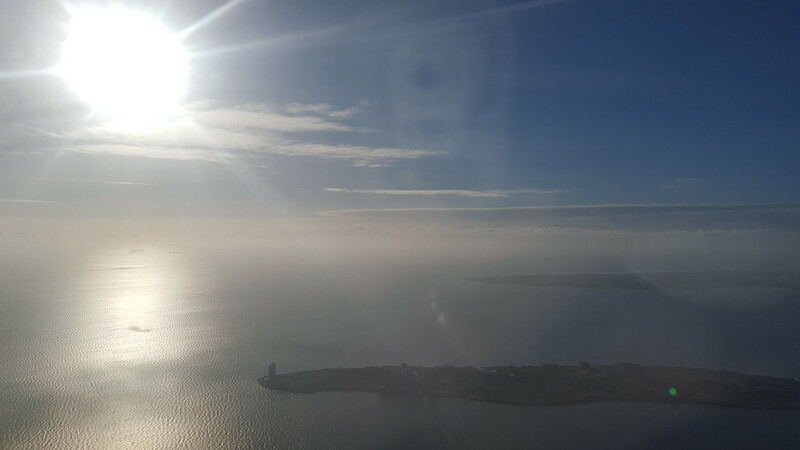 A big hope for the mangrove restoration project is to reverse this decline, and in combination with reasonable fishing regulations that both support the fishermen and help sustain the fish population, there are signs of recovery. A key part of the program is having visitors plant mangrove propagules, shown in the foreground here. They pay to come as a group and plant them and the proceeds go back into sustaining the project. This was a group of Korean students, and two girls from Silonay joined in the fun—the plantings seemed to always end in mud fights. To commemorate World Oceans Day, a 100ml jar of Crème de la Mer with a new limited-edition design will be available May through June 2015. For the first time, the jar design will be inscribed with ‘Blue Heart’ to communicate the brand’s ongoing goal of supporting the protection of the blue heart of our planet, the ocean. 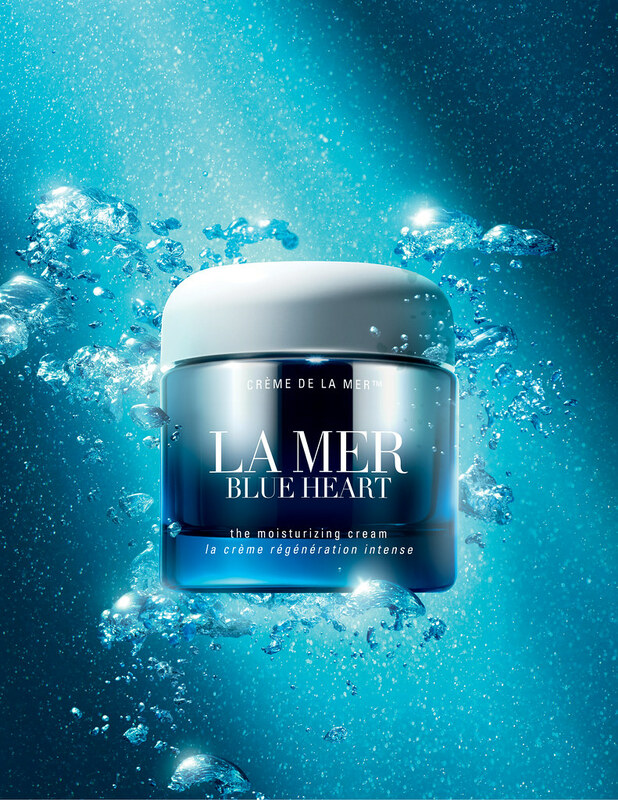 Purchase of the commemorative Crème de la Mer does not impact La Mer’s Blue Heart charitable donation. 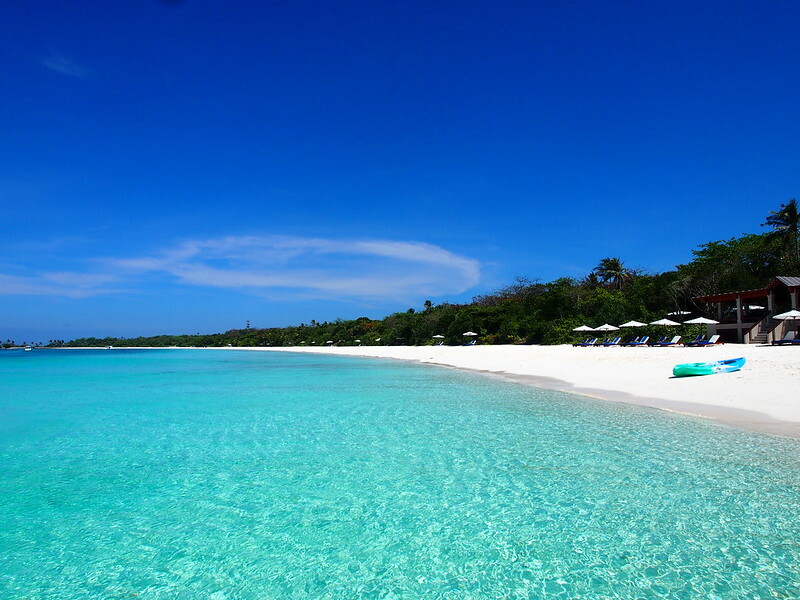 La Mer has donated over $2.6 million since 2008 to help promote ocean conservation efforts globally.